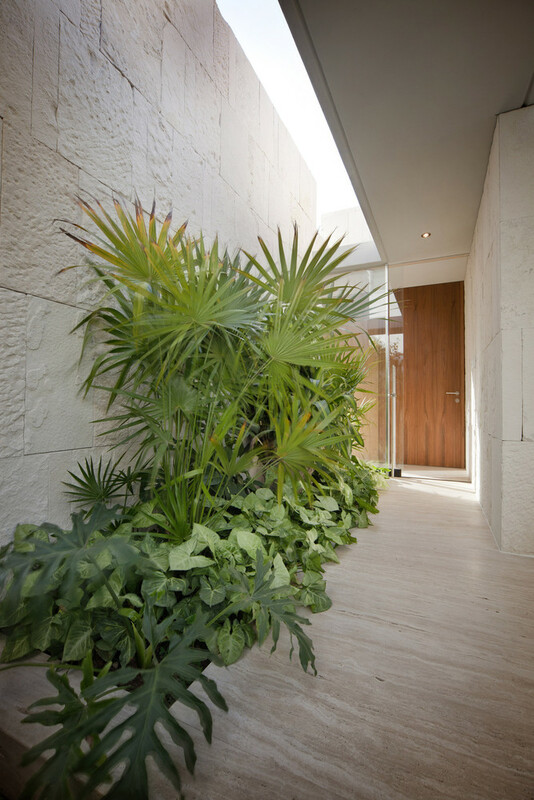 Rather than think of outdoor space as an interstitial zone between public and private, lovely little central courtyards like this work like exterior rooms – spatially equivalent and as significant as interior zones – especially prevalent (and ideal) in Spanish-influenced, warm-weathered Mexico. Taller Hector Barroso is a modern firm with a flair for adding local flavor and regional considerations into small residential projects like the ones shown in a series of simple pictures here (no plans, unfortunately). This stunning tropical courtyard house pairs an airy layout with lush greenery for an effect that’s chic, yet relaxed. 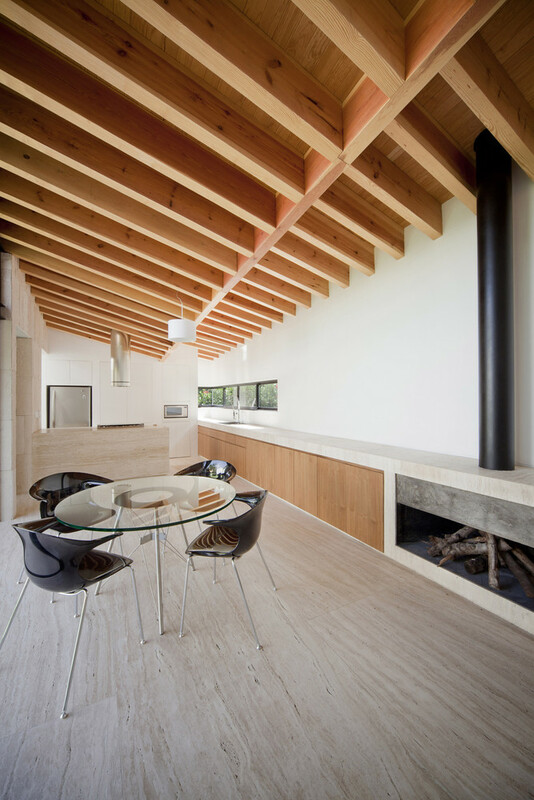 The interior garden area also supplies natural daylight to the whole one-floor interior except for the temperature-controlled wine cellar. 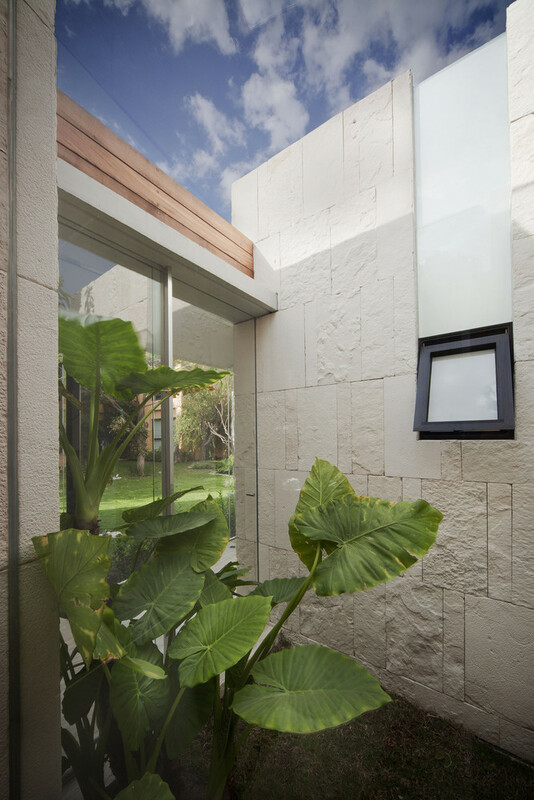 In turn, inward-facing walls serve as visual fencing from the outside world, while green growth and architectural elements serve to provide privacy from room-to-room views across the open space. 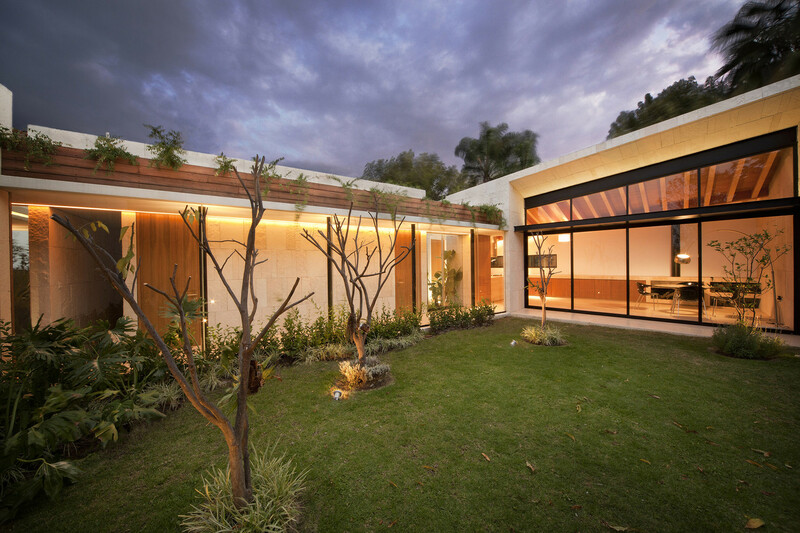 The landscaping choices show off creative curves, reflected in the wrapping-but-rectilinear spiral of the inside/outside plan while adding some organic decor to the simple modern structural lines. 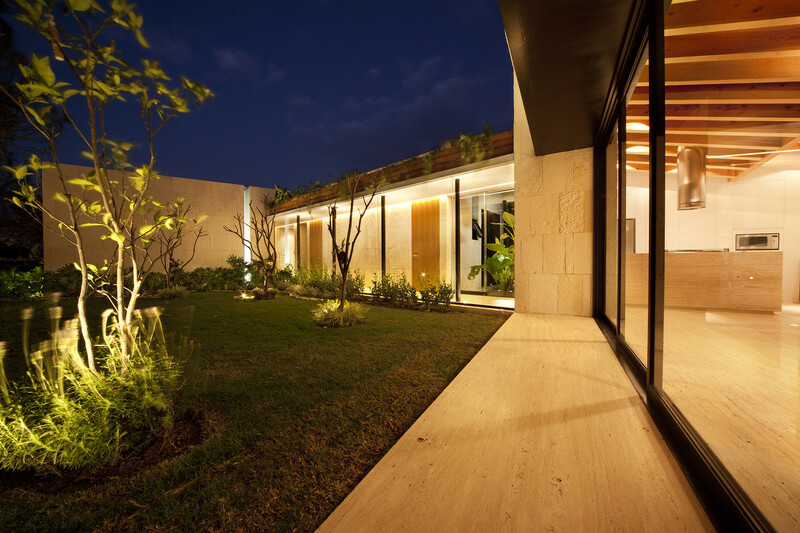 This twisting motion spreads out into a dynamic asymmetrical front patio with minimalist accents.